Are you living in fear instead of fulfillment? Today is a major milestone for me as it marks a month since the release of my first book: Big Girl Pants. Well, technically that’s not true. 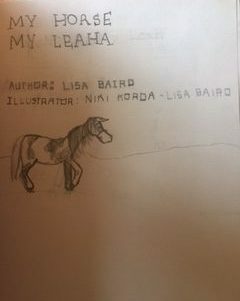 My FIRST book was entitled My Horse, My Leaha and featured illustrations by my friend Niki Korda and the cover can be seen below. 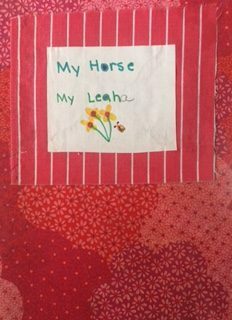 Like Big Girl Pants, My Horse, My Leaha was self-published. Unlike Big Girl Pants, it never quite made the top ten in its category on Amazon. Regardless, I can definitively tell you that there’s nothing like the feelings associated with writing a book. With My Horse, My Leaha, those feelings were pure elation and pride and a sense that my publishing contract with Random House just had to be right around the corner. 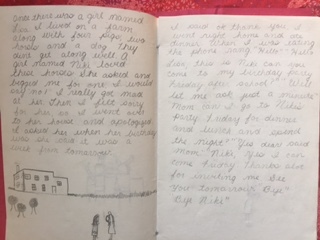 With my more recent book, however, my feelings were less Hallmark movie and more horror movie. I was petrified. My inner dialogue was channeling my inner mean girl and spewing one excuse after another to “protect” me. I was telling myself that I wasn’t a good enough writer, that I just didn’t have the time to dedicate to writing and editing and marketing and that I just wasn’t “experienced” enough to write a book. But none of that was true. And it isn’t for you either. In individual coaching sessions, in seminars and in speaking engagements I tell people that they are the author of their own soul-on-fire stories. I tell them that when the excuses start to creep in, they just need to stop and ask themselves “Is this true?” People are amazed at how shining that light of truth on the darkest corners of our mind can almost immediately change our perspective. You too have the power to follow your dreams. Together, we can put an end to excuses and start believing that dreams are realities. I have an exercise in Big Girl Pants that I have used numerous times myself (including as I prepared to write my book) and I encourage everyone to regularly engage in the Truth Test. The beauty is in its ridiculous simplicity. I hope you find this to be a freeing and enlightening exercise. We all subconsciously tell ourselves stories designed to protect us, but ultimately result in our living in fear instead of fulfillment. Now take the results of this exercise and consider it your freedom to be fulfilled. Go chase that job. Go write that book. Go do whatever it is you want. Because you can.